Windows Live Mesh not only helps you synchronize documents between computers, it also helps you synchronize Office settings such as Outlook email signatures, custom dictionaries, templates, etc. 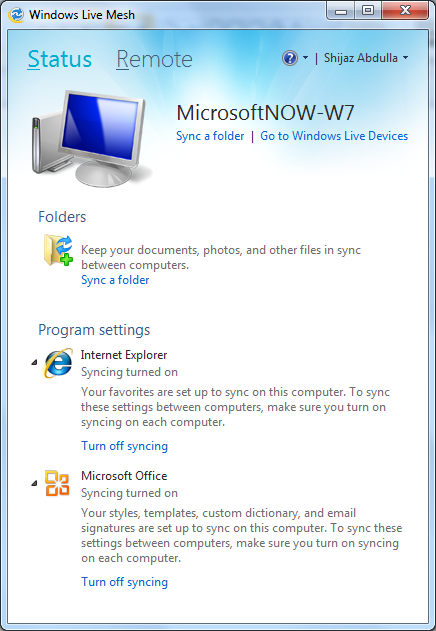 I stumbled upon this feature this morning when I was synchronizing files between my Windows 7 PC and my Windows 8 tablet. Windows Live Mesh is now part of the Windows Live Essentials bundle (free download). You can also use Windows Live Mesh to synchronize Internet Explorer favorites between multiple computers. One of the great many advantages of running Windows all your computers – be it PC, laptop or tablet!